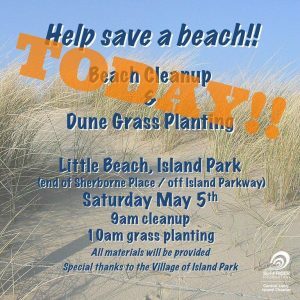 Beach Clean-Up and Dune Grass Planting at Little Beach, Island Park- May 5th! We hope to see you at our beach cleanup & planting in Island Park. Please consider walking/biking/carpooling and park on the main road. All materials will be provided. See you there! !